To claim this profile, please confirm you are Sarah Renteria. To follow this profile, please let us know your relationship to Sarah Renteria. No results have been reported for the Onate varsity track & field conference meet: "Therman Jordan Relays." The Onate varsity track & field team has not entered their place at their conference meet: "Deming Invite." No results have been reported for the Onate varsity track & field conference meet: "Las Cruces Invite." No results have been reported for the Onate varsity track & field conference meet: "Alamogordo Invite." No results have been reported for the Onate varsity track & field conference meet: "Centennial Invite." No results have been reported for the Onate varsity track & field conference meet: "Santa Theresa Invite." 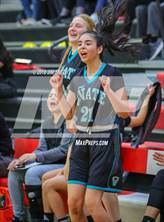 RESULTLoss Girls varsity basketball vs. West Mesa. The Onate varsity basketball team lost Friday's neutral playoff game against West Mesa (Albuquerque, NM) by a score of 81-56. 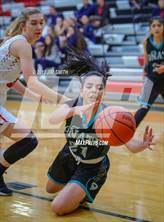 This game is part of the "2019 NMAA State Basketball Championships - Class 5A - Girls" tournament. RESULTN/A Girls varsity track & field vs. Mayfield. No result has been reported for the Onate varsity track & field neutral conference meet vs. Mayfield (Las Cruces, NM). The Onate varsity track & field team has not entered their place at their conference meet: "Onate Invite." RESULTLoss Girls varsity basketball @ Mayfield. The Onate varsity basketball team lost Wednesday's away non-conference game against Mayfield (Las Cruces, NM) by a score of 32-28. RESULTWin Girls varsity basketball vs. Deming. 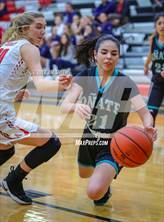 The Onate varsity basketball team won Monday's home non-conference game against Deming (NM) by a score of 56-50.